A direct and automatic device making from polymer pellets. 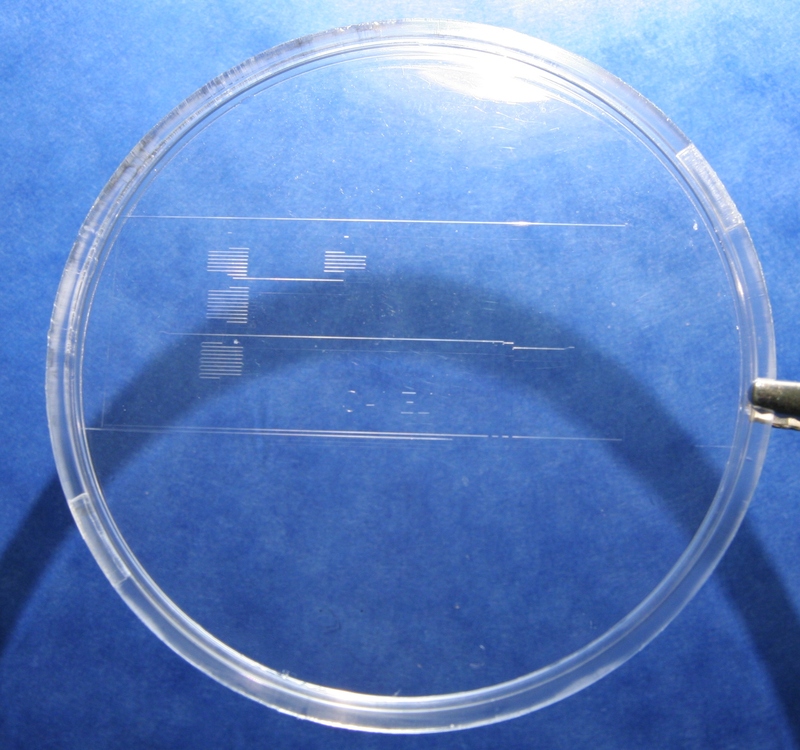 A new thermoforming process to reduce the strength applied on the stamps during the engraving of channels and cavities of a microfluidic device. This new process operates in to steps: first, the polymer is compressed and stuffed in a holder by an unstructured stamp, then the channels and cavities are engraved by hot-pressing with the structured stamp having the corresponding details. The lateral strengths against the stamp details are reduced. These strengths are a limiting factor to engrave small details in the micron range on the large area in different types of polymers. These lateral efforts result from the compression strengths, the polymer shrinking, and the dilatation effect. Another advantage is the possibility of using stamps made in softer material, thus facilitating the stamp making. This machine is a fully automatic hot-press equipped with 3 inches stamps. The compression and extraction operations are performed by 4 hydraulic jacks. A local vacuum of about 10mT is attained during compression by a pumping system. Various types of polymers can be thermoformed by this machine with a temperature ranging up to 320°C and a compression strength up to 10 tonnes. A specific post performs the channel closing by hot bonding with a counter sheet on the channel face. The production rate is about 5 to 8 devices per hour. 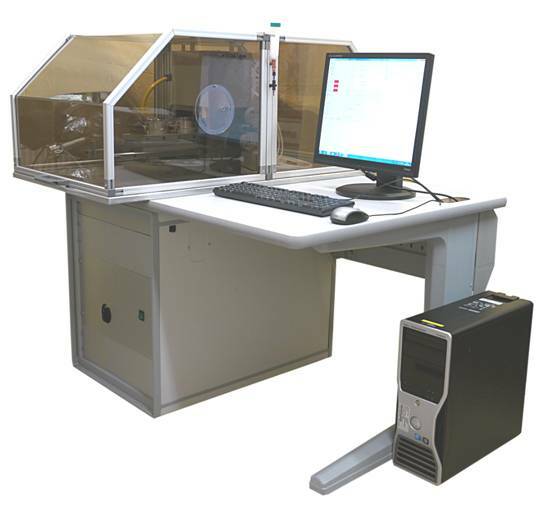 The machine is compatible with a clean room environment due to a complete machine body enclosure connected to an air exhaust system.